OAKVILLE, Ont. (Golf Canada) — Golf Canada and RBC are pleased to announce the final field of competitors vying for the US $6.2 million purse at the 2018 RBC Canadian Open, July 23-29 at Glen Abbey Golf Club. World no. 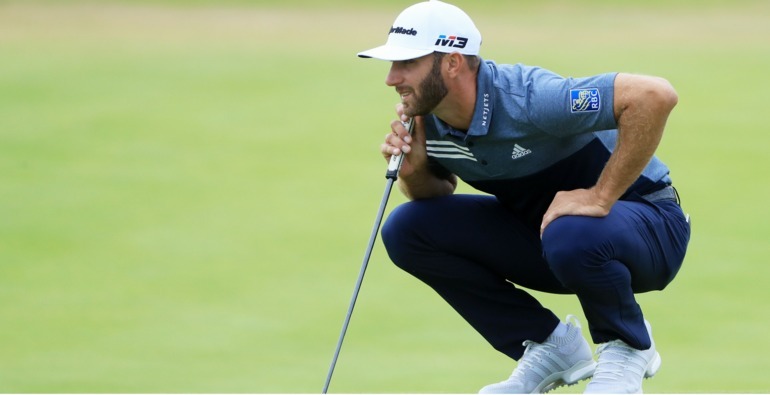 1 and Team RBC member Dustin Johnson will be challenged by a stellar field of PGA TOUR stars including former Masters champion and world no.19 Sergio Garcia, two-time defending US Open champion and world no. 4 Brooks Koepka, world no.10 Tommy Fleetwood and big-hitting world no.13 Bubba Watson, a 12-time PGA TOUR winner who has won three times in 2018. Other notable additions to the field for the 109th playing of Canada’s National Open Championship include world no. 27 Matt Kuchar; rising star and world no.31 Tony Finau; world no. 33 Kevin Kisner; former FedEx Cup champions Billy Horschel and Bill Haas; 12-time PGA TOUR winner Steve Stricker; six-time PGA TOUR winners Jimmy Walker, Stewart Cink and Rory Sabbatini; fan-favourites Ian Poulter, J.B. Holmes, Charley Hoffman and Martin Kaymer; and two-time defending champion Jhonattan Vegas. 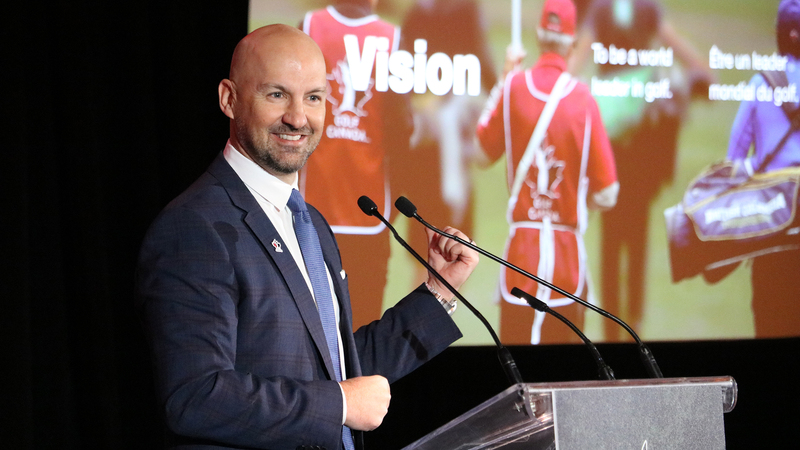 Johnson, an 18-time winner on the PGA TOUR and Kuchar, a seven-time PGA TOUR winner will lead a roster of Team RBC players to Glen Abbey that includes three-time PGA TOUR winners Ryan Palmer and Graeme McDowell, 2013 RBC Canadian Open champion and eight-time winner Brandt Snedeker; Jim Furyk, a 17-time winner and two-time RBC Canadian Open champion; along with Canadian Team RBC players Adam Hadwin, David Hearn and Nick Taylor. 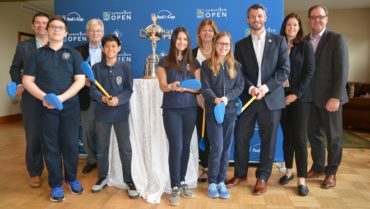 In total, 156 players will compete for the US$6.2 million purse next week in Oakville when Canada’s National Open Championship returns to Glen Abbey for a record 30th time. Click here for a full field list for the 2018 RBC Canadian Open. A total of eight in-year PGA TOUR winners (accounting for 11 PGA TOUR titles in 2018) will compete at Glen Abbey led by three-time winner Bubba Watson (Genesis Open, World Golf Championship-Dell Technologies Match Play and Travelers Championship) and two-time winner Dustin Johnson (Sentry Tournament of Champions and FedEx St. Jude Classic). Other 2018 PGA TOUR winners include Brooks Koepka (US Open), Ian Poulter (Houston Open), Ryan Armour (Sanderson Farms Championship), Austin Cook (RSM Classic), and Gary Woodland (Waste Management Phoenix Open) and Billy Horschel (Zurich Classic of New Orleans). Two-time (2016-17) defending champion Jhonattan Vegas returns to Glen Abbey looking to become the first player ever to win Canada’s National Open Championship on three consecutive occasions. Vegas is one of five past champions set to compete including Brandt Snedeker (2013), Sean O’Hair (2011) and Chez Reavie (2008) along with Jim Furyk who claimed back to back titles in 2006-07. Leading the Canadian contingent at Glen Abbey will be Abbotsford, B.C. native and world No. 48 Adam Hadwin, who will return to Glen Abbey to play in his ninth RBC Canadian Open. Other confirmed Canadians include past PGA TOUR winners Mackenzie Hughes of Dundas Valley, Ont., and Nick Taylor of Abbotsford, B.C., Cory Conners of Listowel, Ont., Ben Silverman of Thornhill, Ont., and David Hearn of Brantford, Ont., who finished third at the 2015 RBC Canadian Open. Also confirmed to compete is Canadian Golf Hall of Fame member Mike Weir of Bright’s Grove, Ont., who will tee it up in his 28th RBC Canadian Open. Each of the 16 Canadian players in the field will look to become the first Canadian to capture the national title since Pat Fletcher accomplished the feat in 1954. Twelve Canadians to receive Tournament Exemptions…. Web.com Tour players Adam Svensson and Roger Sloan as well as European Tour player Austin Connelly, and Golf Canada Young Pro Squad member Jared du Toit, along with a trio of National Amateur Squad members—Hugo Bernard, Joey Savoie and Chris Crisologo—are among the Canadians receiving tournament exemptions. Svensson is tracking well to earn his PGA TOUR card, sitting eighth on the Web.com Tour money list with $187,607. The 24-year-old Surrey, B.C., talent and Team Canada graduate has four Web.com Tour top-10 finishes this season, including a win at the 2018 Bahamas Great Abaco Classic in January. Calgary native Roger Sloan currently sit no. 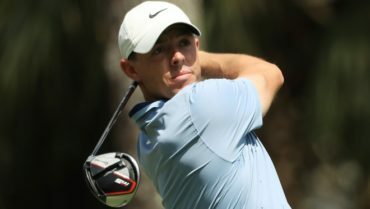 52 on the Web.com Tour money list and will make his fourth appearance in Canada’s National Men’s Open Championship. He has two top-10 finishes on the Web.com Tour this season. Austin Connelly, a dual citizen of Canada and the United States, is a former member of Canada’s National Amateur Team. He made international headlines at last year’s Open Championship, where he finished with a share of 14th. He has three top-20 finishes on the European Tour this season, including a tie for 11th at the Rocco Forte Sicilian Open. In 2016, Jared du Toit of Kimberley, B.C., took a thrilling run at the RBC Canadian Open, taking a share of the 54-hole lead into the final round before eventually finishing tied for ninth. A member of Golf Canada’s Young Pro Squad, du Toit is ranked 21st on the Mackenzie Tour – PGA TOUR Canada Order of Merit including four top-10 finishes. Tournament exemptions were also given to Team Canada National Amateur Squad members Hugo Bernard of Mont St-Hilaire, Que., Joey Savoie of La Prairie, Que., and Chris Crisologo of Richmond, B.C. As well, 50-year old Winnipeg native Todd Fanning earned his place in the RBC Canadian Open by claiming victory in the 2017 Canadian Men’s Mid-Amateur Championship. Fanning, a former pro who returned to amateur golf, will be making his fifth appearance in Canada’s National Men’s Open Championship. PGA of Canada professional Marc-Etienne Bussières of Gatineau, Que., earned his way into the 2018 RBC Canadian Open by claiming the no. 1 position on the PGA of Canada Player Rankings presented by RBC. Other confirmed tournament exemptions to notable international competitors including American Zach Bauchou, winner of the 2017 Canadian Men’s Amateur Championship; Nyasha Mauchaza of Zimbabwe who topped the 144-player at the Ontario Regional Qualifer at Blue Springs Golf Club in Acton, Ont. to earn automatic exemption; and recent amateur standout turned professional Norman Xiong of Canyon Lake, Calif., the 2018 recipient of the Jack Nicklaus National Player of the Year Award as the top player in NCAA Division I golf and Haskin Award as the most outstanding collegiate golfer. Following the Osprey Valley Open which concludes on Sunday July 22, the top-three players on the Mackenzie Tour – PGA TOUR Canada Order of Merit will earn exemptions to compete in the 2018 RBC Canadian Open. The final four exemptions into the field for the 2018 RBC Canadian Open will be handed out at the Monday Final Qualifier on July 23, to be played at Heron Point Golf Links near Ancaster, Ont. Click here for the full current list of competitors competing in the 2018 RBC Canadian Open at Glen Abbey Golf Club from July 23-29. 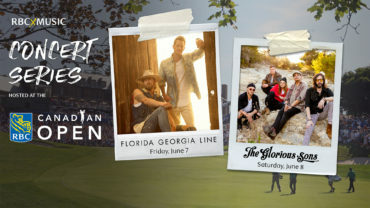 Tickets for all tournament rounds of the RBC Canadian Open are still available for purchase at www.rbccanadianopen.com. As well, kids 17-and-under get FREE admission all week long.